In the age of growing consumerism in healthcare, reputation is a critical factor in patients’ selection process of a doctor. Word of mouth is a powerful influencer and online reviews have taken its power to new heights. SE Healthcare’s Five-Star Rating Reputation Tool, a component of the Physician Empowerment Suite, helps practices leverage the power of positive reviews. The tool provides transparency to patients about the quality of physicians within a practice, and it allows practices to proudly display ratings from actual patients. 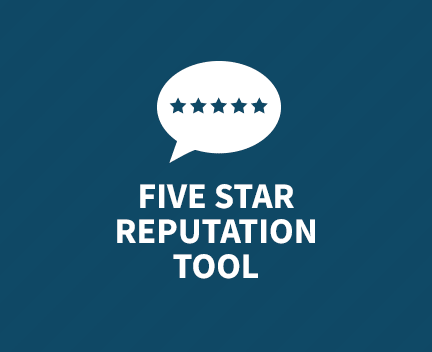 The Five-Star tool presents an average star rating from 1 (lowest rating) to 5 (highest rating) by analyzing patient experience reviews from verified patients as a result of surveys sent exclusively and confidentially to them. Rating systems on other sites can often be skewed by false reviews. SE’s Five-Star tool eliminates skewed data and provides current and future patients with accurate information about your providers and the quality of service they offer. Once a practice signs up for SE’s Five-Star Rating tool, all that is required is to login into the Physician Empowerment Suite, and for each provider, the system will generate a code that can be embedded in your website to display the Five-Star rating icon. Our team is here to help you through the process to make integrating the tool as simple as possible. In doing so, we’ve attached step-by-step instructions for setting the tool up on your website. If you have any questions at all about how SE Healthcare can help you improve your reputation using our Patient Experience Platform, then please contact us at info@sehqc.com.